In this digital age, it’s easy to get lost and overwhelmed in a sea of advertising platforms that cost chunks of dollars. Startups are faced with the dilemma of shelling out cash that they are not even sure would yield returns. So they end up not advertising their businesses at all. Which leave them swimming above water in attempts to still beat the competition. Are you one of these startups? What if there is now a way to get the same amount of online visibility as your competition is getting without having to spend big money? 1. Fair ads distribution – This hyperlocal search engine is powered by a system that shows ads depending on the keyword phrases, price, location, type of business entered in by its users. There are no pay-per-click schemes. 2. Only legit businesses are allowed to get listed – The system has a verification process that ensures only legit and existing businesses or service providers get a listing spot. Advertisers no longer have to worry about listings that compete with their services but are actually just out to scam or rip-off others. 3. FREE – This hyperlocal search engine is offering its services to businesses for zero cost. Why free? Well, the platform is relatively new and as part of its rollout plan, they are offering their advertising services for free for a few months. 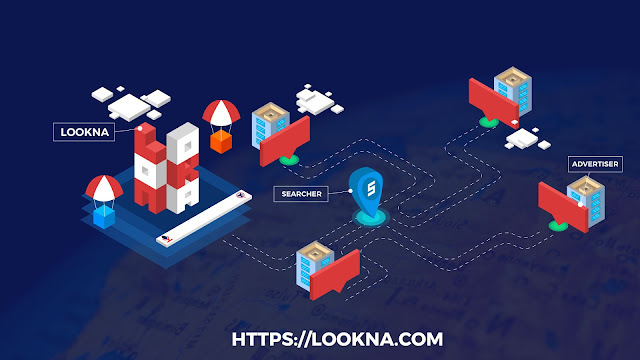 Available in two hundred countries worldwide, this hyperlocal search engine for advertisers is none other than Lookna.com. Lookna is fantastic for startups and small to medium scale businesses because these are mostly the business scales that find it hard to advertise and compete with the giants in the industry. What we love about Lookna is the simplicity of its user interface and its straightforward approach to getting businesses advertised. Much like Google, a user simply has to go to Lookna’s website and use the search bar to find a business or service provider. A list of businesses or service providers will come up on the page and all the user needs to do is click on her choice of business to get more information such as the business address, telephone number, email and a directional map. Whether your business is purely online-based or you operate in a brick and mortar office or location, Lookna is great to get listed in because some consumers or potential customers still prefer actually visiting business locations prior to purchasing. Of course, there is also a huge share of the market which prefers transacting purely online, but would still like to know where to find your business ‘just in case’. This is what we love about Lookna and why we are raving about it. It offers businesses an opportunity to reach a wider audience without siphoning a large chunk of their investment capital. There is no ‘return of investment’ because it offers its services for FREE, so there are no investments involved. You get your share of the market without capital. Isn’t that fantastic?